If you have filled cartridge and the ink spilled follow the steps below to solve the problem. The possibility exists that when you fill a cartridge, a lot of ink spilled on the head, the head is the part below the cartridge which looks a little lighting and has a band together in the middle is where the ink is injected to page. An ink spill can occur for many reasons, then do a small count as removing this spill cartridges and identify why that does not happen again, the fact that an ink cartridge spill head does not mean that this this damaging. 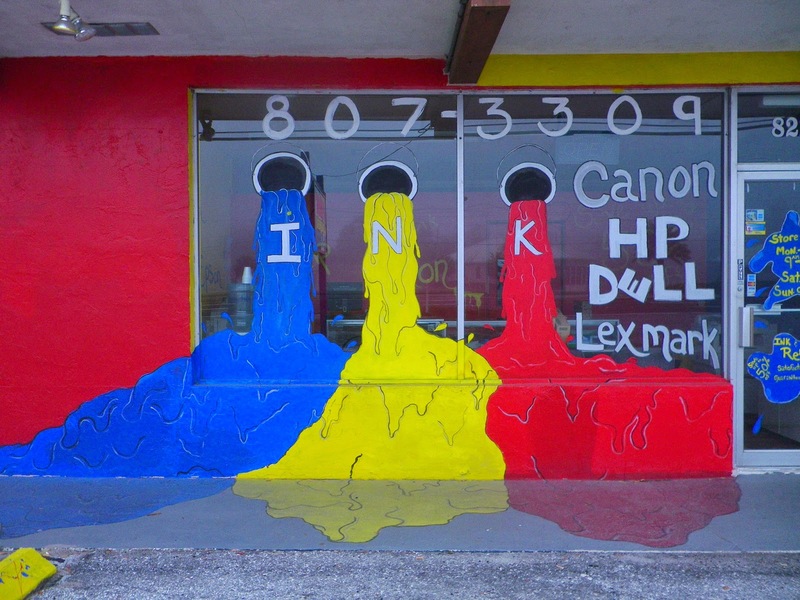 It is normal and this increases more when the ink cartridges are modern, usually seen much on HP cartridges in the numbers 122, 61, 301've talked a lot in this blog. When a cartridge is spilling ink is because it has a lot of ink, knowing that amount of ink put our cartridge is what solves the problem, we can identify the amount of have to put our cartridges visiting the website of the manufacturer or looking packaging this usually they provide this information's. Just enter the amount that supports the cartridge, even if we think we can put more ink cartridge because we feel that weighs, or have the possibility to do is not recommended. It happens that modern cartridges, all part which appears to sponge is today the manufacturer does not use all the space, makes even a little smaller to thereby make two sponge cartridges, normal version and version XL in one of the cartridges used in the sponge and all other cartridges not used. Everything has an end and we must understand, an ink cartridge not last for life, we must know when is coming time to replace an ink cartridge, can not last a cartridge about five filled and we think it can last longer, came a time when refilling the cartridge that will affect both need to be replaced by another and start again. The sponge as the days does not retain the ink, it immediately goes toward the nozzle and be spilled.